Join free outdoor dance festival that lasts all spring and summer long! The event starts on Saturday May 26, 2018 until Sept 1, 2018 from 8-11 PM at Robson Square. Tell your friends, invite your family, co-workers, neighbors, everyone is welcome. 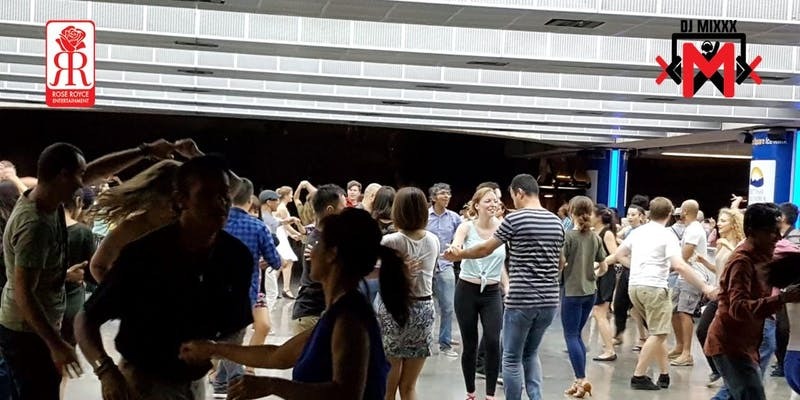 We will start with a ZUMBA warmup with the wonderful Juliana Oliveira, then a complimentary mini-dance lesson (varies from week to week) and then social dancing to moving music from DJ MiXXX (DJ Mi3X)! It's all FREE and FUN! !